Congratulations! 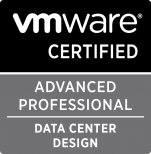 You have successfully passed the VMware Certified Professional beta exam on vSphere4 (VCP4). It took about 6 weeks to get that message. I am happy to be done with that test!